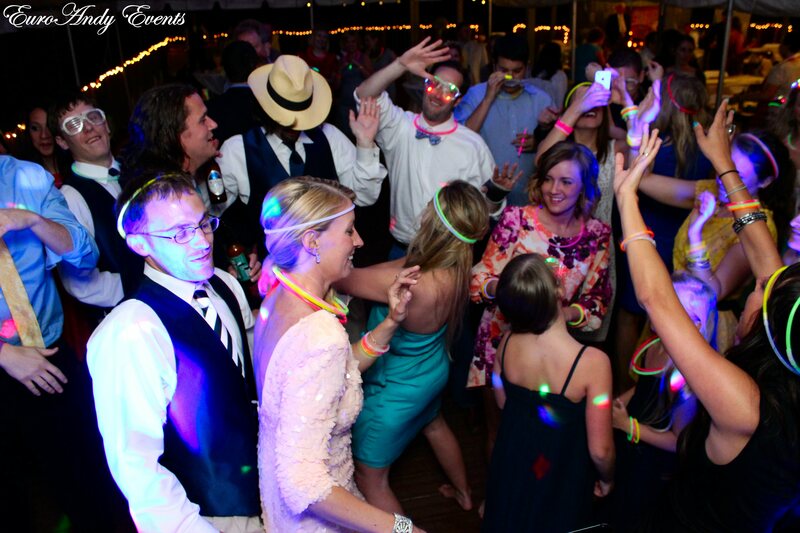 When looking for a DJ or any vendor for your wedding, you don’t want to just hear about it, you want to look for yourself at the type of work they have done, or in a DJ’s case, even listen to some of their work. We want to take this opportunity to showcase our most recent wedding that we had the pleasure of being a part of. Aly & Brandon, married on April 27, 2013 at the Chattahoochee Nature Center in Roswell, Georgia. 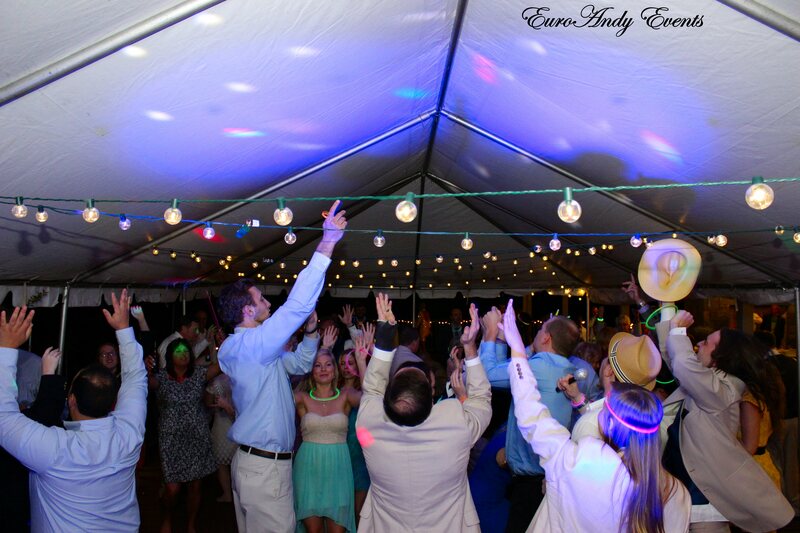 We provided music entertainment for their wedding reception as well as lighting for their reception. 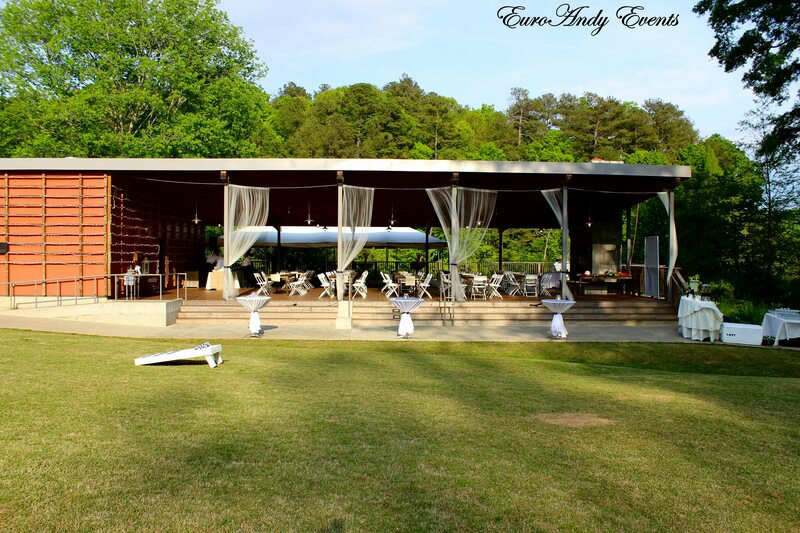 With the venue being an outdoor pavilion, it was important to add the right touch to the atmosphere. 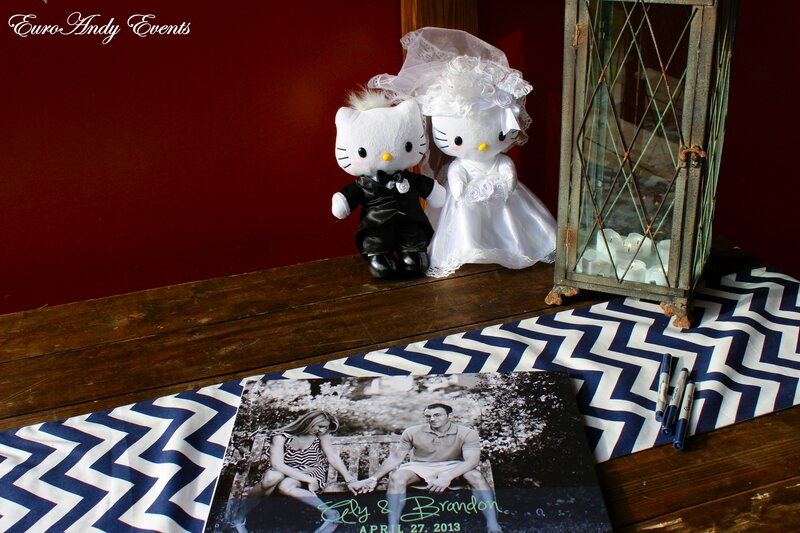 They wanted a fun, bright, and clean decor to add to their night. 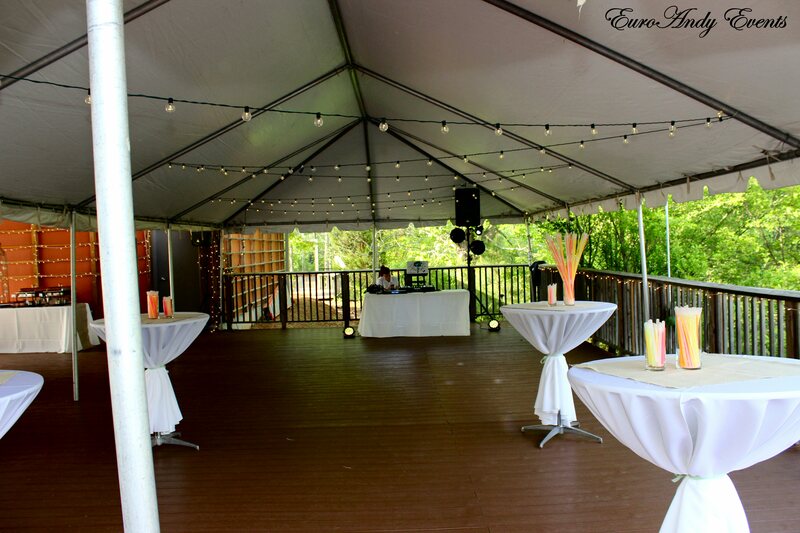 We chose some white uplights for the pavilion as well as some navy blue uplights to illuminate the top of the tent to create the impression of a sky right after sunset with strings of lights as stars as well as a rotating white light projection on to the ceiling of the tent. 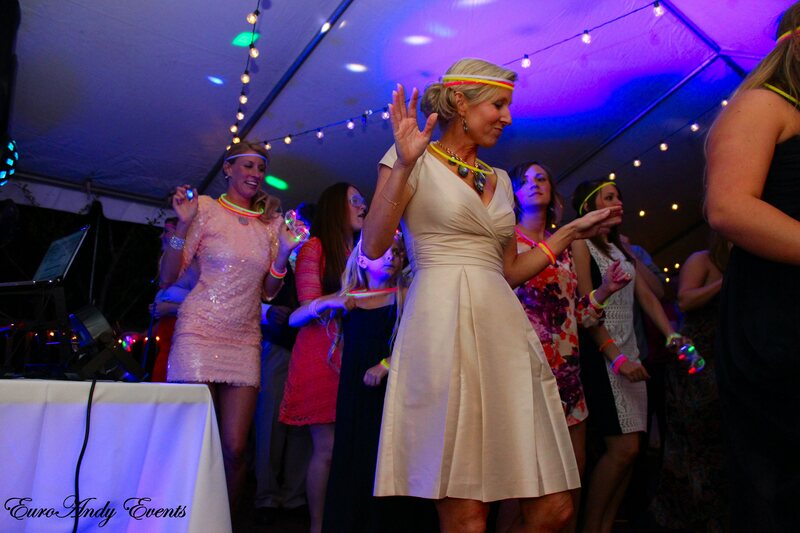 Their addition of glow sticks, bracelets, necklaces, and light up glasses added even more to the fun. 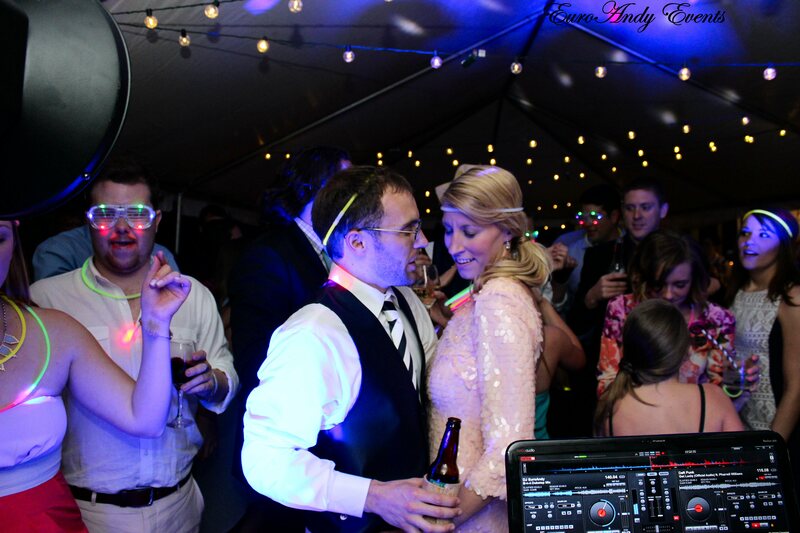 For the music, to accommodate the diverse guest list that was present, Aly and Brandon wanted a wide mix of motown, top 40, and even some dubstep for the groom and his friends. Per Aly’s request, we were able to put together a 7 minute mix of 4 dubstep songs catered specifically towards Brandon, as a dedication to him from her. Once the formal portions of the evening, the formal dances and cake cutting took place, the party kicked off at full steam. 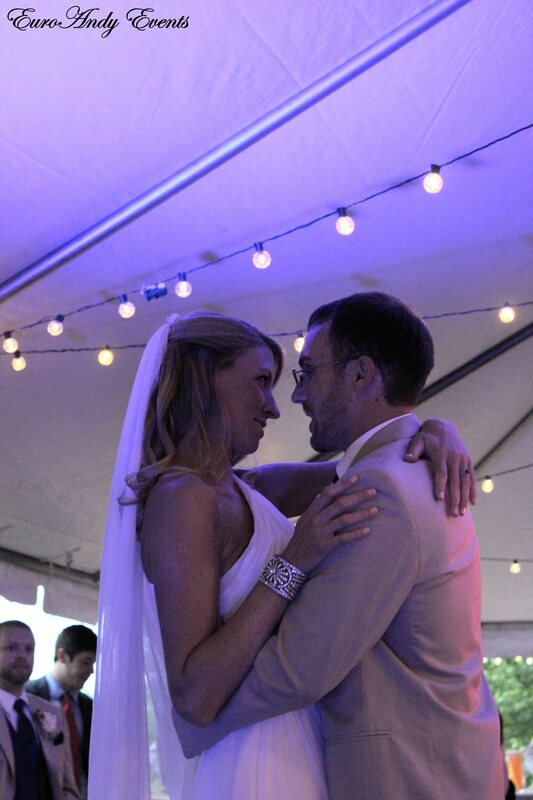 Aly got comfortable out of her wedding dress and into a more relaxed fit, and the dancing followed. The entire night went on without a hitch, and even the rain held off long enough for the whole evening to take place perfectly. Take a look at some of the photos that we took from that evening. We want to extend our warmest wishes of congratulations to Aly & Brandon and are truly glad that we were a part of their wedding day. 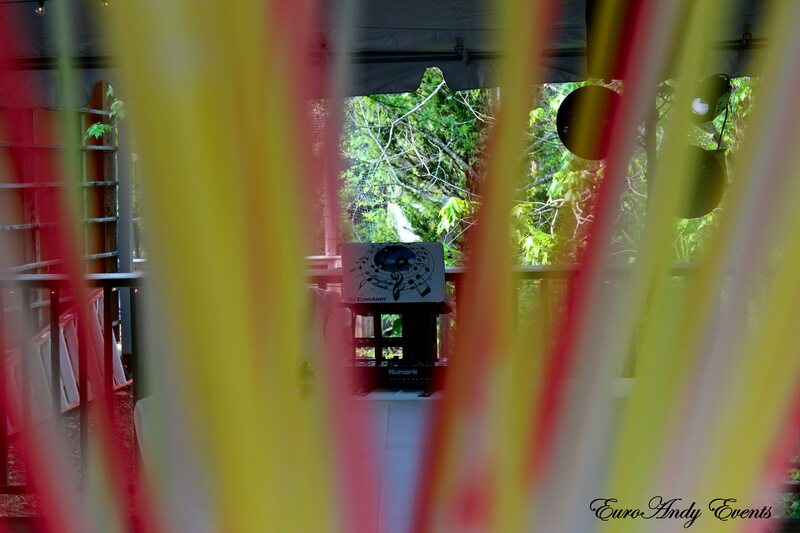 This is what we can do for any event out there, create a truly “Special Event with A Personal Touch”. 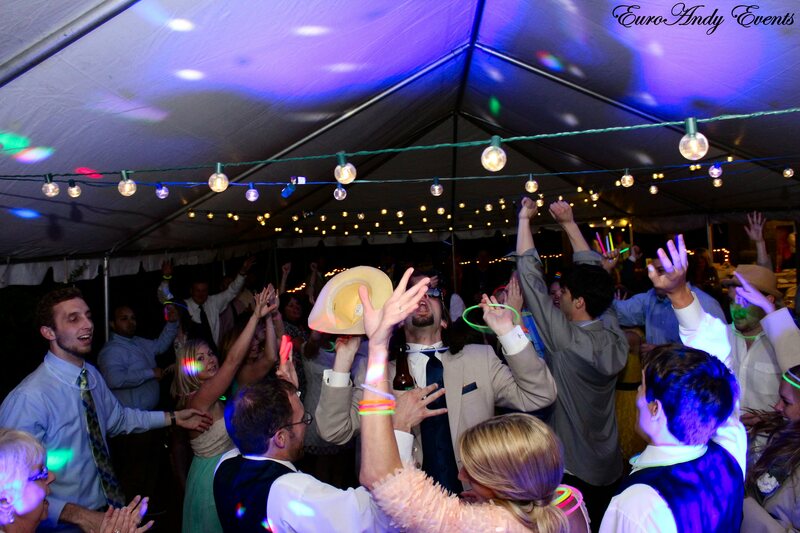 Posted in Uncategorized, Wedding and tagged Atlanta, DJ, Entertainment, Lighting, reception, wedding on April 30, 2013 by EuroAndy. 1. 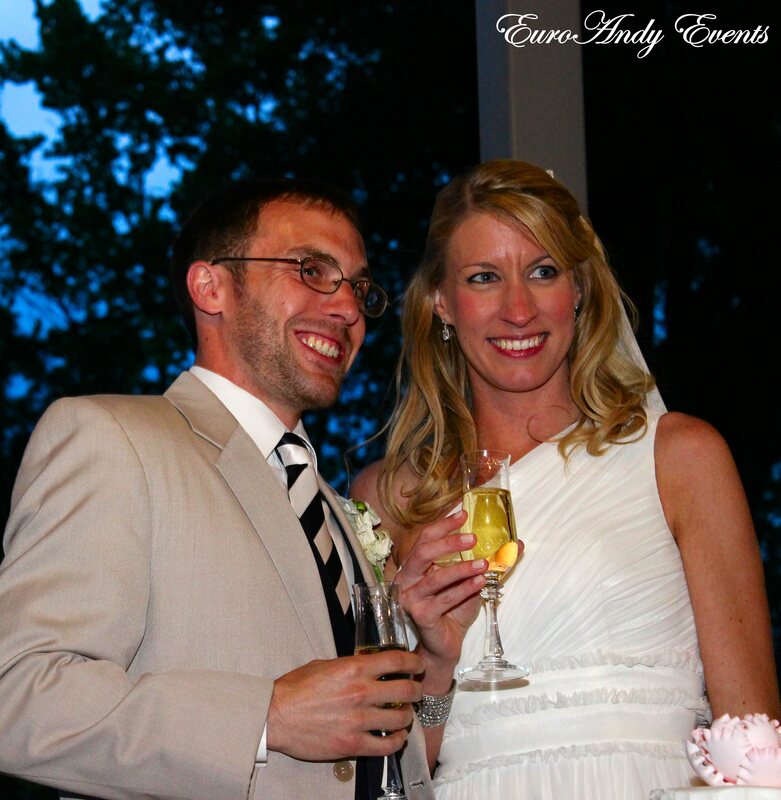 Include your wedding party in the introductions. They are your “supporting cast”, to stand by your side and be there for support and encouragement. Why not acknowledge them as well. Given the occasion they will not mind having some fun once the ceremony is over. 2. Think about the song or tune that you want to walk in to. It creates the atmosphere, the energy, the “soundtrack” for your presentation. Make it fit your style, your personality, make it fit you. We have included a list of some songs to look through just based on what we have used in past years from previous weddings. 3. Always remember, even though your wedding is considered a formal event, it is ultimately a celebration, a joyous occasion of two people coming together and the unification of 2 families. So celebrate, have fun, make it upbeat and entertaining and have a ball. Here is a list of songs, in no particular order, that many couples have been introduced to. Posted in Uncategorized on April 26, 2013 by EuroAndy.